The WSIS Forum 2016 was held from the 2-6 May 2016 at the ITU Headquarters in Geneva. 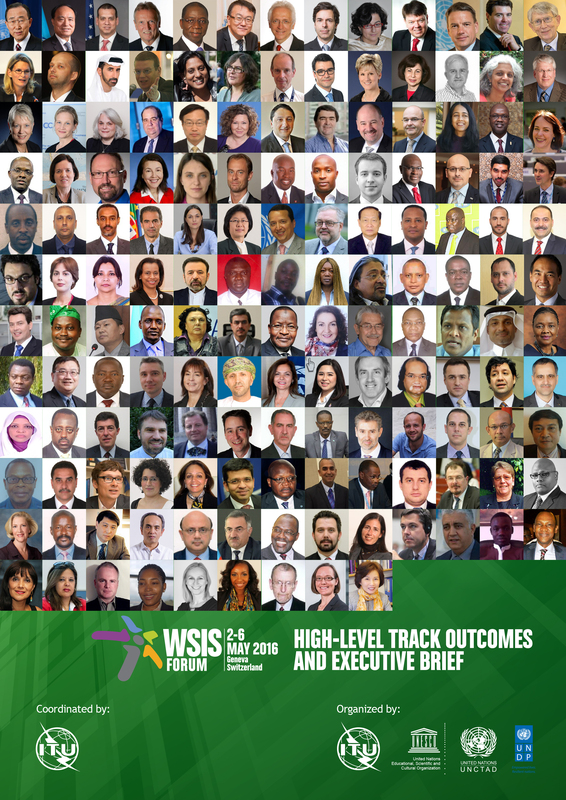 This year the Forum attracted more than 1800 WSIS Stakeholders from more than 150 countries. Several high-level representatives of the wider WSIS Stakeholder community graced the Forum with more than 85 ministers and deputies, several ambassadors, CEOs and Civil Society leaders contributing passionately towards the programme of the Forum. The highlight of the WSIS Forum was the Prime Minister of Tonga, who graced the event with his presence. On–site and remote participation increased tremendously during the WSIS Forum 2016. The WSIS Forum, co-organized by ITU, UNESCO, UNDP and UNCTAD, in close collaboration with all WSIS Action Line Facilitators/Co-Facilitators (UNDESA, FAO, UNEP, WHO, UN Women, WIPO, WFP, ILO, WMO, UN, ITC, UPU, UNODC, UNICEF and UN Regional Commissions) has proven to be an efficient mechanism for coordination of multistakeholder implementation activities, information exchange, creation of knowledge, sharing of best practices and continues to provide assistance in developing multistakeholder and public/private partnerships to advance development goals. This forum provided structured opportunities to network, learn and participate in multi-stakeholder discussions and consultations on WSIS implementation. The Chairman of the WSIS Forum 2016 was Mr Daniel Sepulveda, USA who played a key role in providing high-level guidance for the Forum and its outcomes. At the WSIS Forum 2016, moderated High-Level Policy Sessions of the High-level Track (HLT) took place on the 3rd and 4th of May. During these sessions, moderated Policy Sessions with high-ranking officials of the WSIS Stakeholder community, representing the Government, Private Sector, Civil Society, Academia and International Organizations were held. High-Level Policy Sessions were divided into sixteen sessions covering fourteen themes. The themes, based on the Geneva Plan of Action with particular focus on the WSIS Action Lines, build on the outcomes of the United Nations Overall Review and the submissions received during the open consultation process. The high-level track was moderated by High-level Track Facilitators who were nominated by different stakeholder types to represent their respective communities. Building on the open consultation process, more than 150 sessions were held during the WSIS Forum 2016. 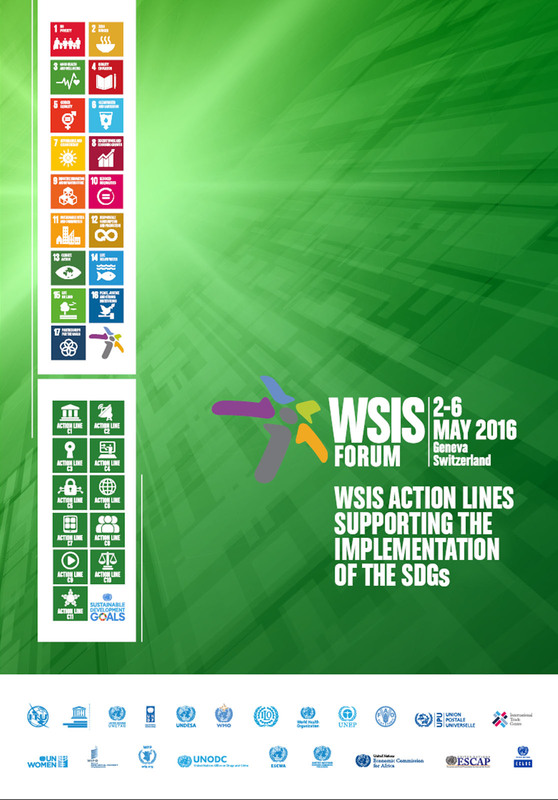 The overall theme of the WSIS Forum 2016 this year was “WSIS Action Lines: Supporting the Implementation of SDGs”. This provided a vibrant atmosphere for facilitation and exchange on a multistakeholder vision of the WSIS Process. An exhibition space provided the perfect atmosphere to network, learn and share .The commitment and dedication of the WSIS Stakeholders was evident from the outcomes submitted by the session organizers. The outcomes of the WSIS Forum 2016 were presented on the last day, 6th May, and will be submitted to the Commission on Science and Technology (CSTD), the UN General Assembly and ITU Council. This document provides a summary of each high–level moderated session by the respective High level Track Facilitators and lists thematically all the Policy Statements submitted by the Ministers, Regulators, Heads of UN Agencies, Academia, Leaders from the Civil Society and Technical Community. The key role played by ICTs in Enabling the SDGs is very clear in the statements made by the policy makers. 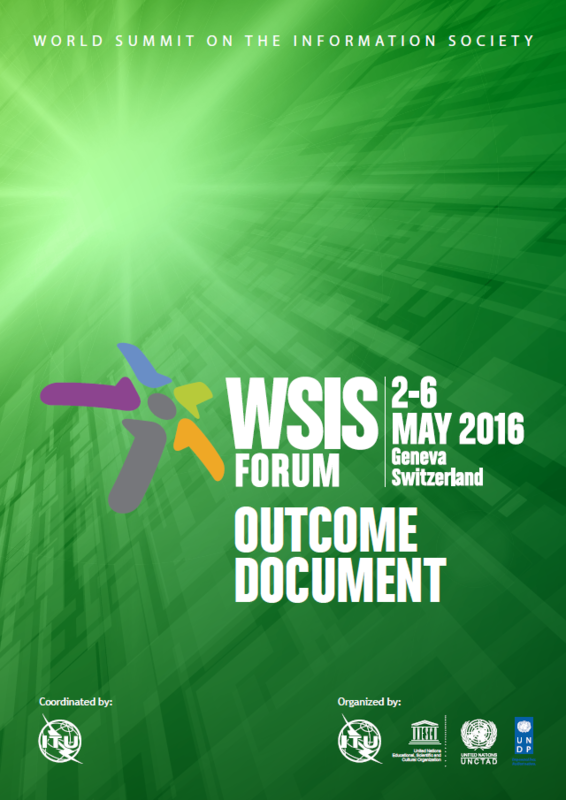 This document provides a summary of more than 150 sessions organized during the Forum Track of the WSIS Forum 2016. Each session shows a direct linkage between the WSIS Action Lines and the respective SDGs (please see the WSIS Forum 2016: WSIS Action Lines and SDGs Matrix). The Forum track is the result of the multistakeholder Open Consultation Process. This document has been developed by the WSIS Action Line Facilitators and identifies the key linkages of the Action Line with the SDGs, providing case examples. 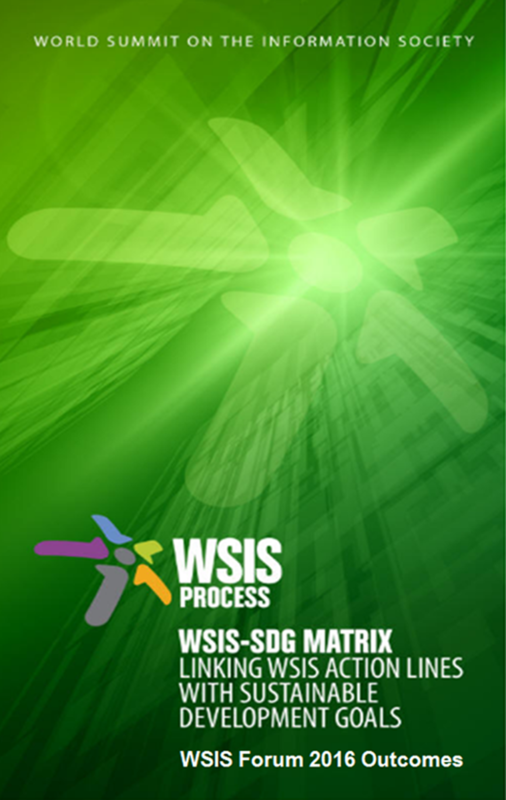 This document builds upon the WSIS-SDG Matrix and provides guidance on the outcomes of more than 100 sessions held during the forum, emphasizing linkages between the WSIS Action Lines and SDGs as well as highlighting rational for each linkage that has been established. 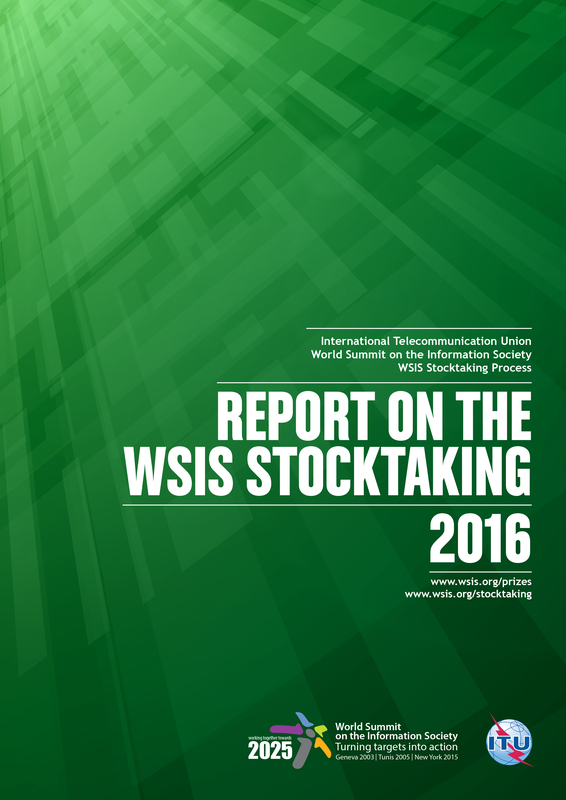 The eighth edition of the WSIS Stocktaking Report Series, focuses on contributions by stakeholders worldwide to WSIS and Sustainable Development Goals. It emphasizes achievements, highlights trends and draws conclusions consistent with the action lines referenced in the Geneva Plan of Action. This Report provides key findings on emerging trends in the development of the information society, and references major activities being implemented in the eighteen areas covered by the eleven WSIS Action Lines. 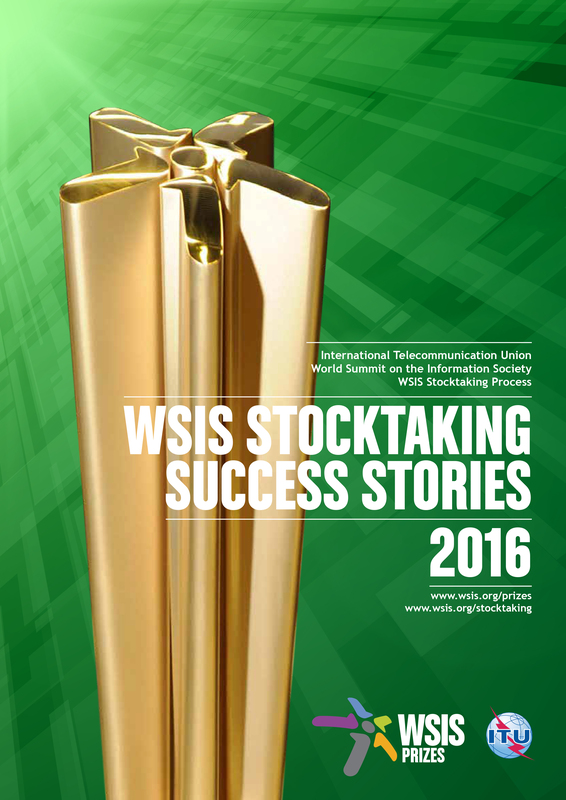 This report highlights 18 winning projects of the WSIS Prizes 2016 contest that provides a platform for identification and showcasing success stories across the WSIS Action Lines defined in the Geneva Plan of Action. The WSIS Prizes honour outstanding projects that leverage the power of information and communication technology to accelerate achievement of sustainable development goals.